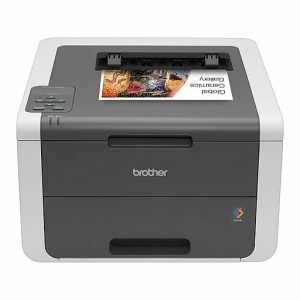 A laser color printer is a very essential addition to the computer, be it office or home. 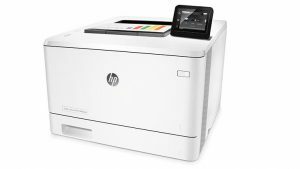 When it comes to buying the best printer within the budget, a lot of people find themselves in great confusion- an inkjet printer or a laser printer with. The inkjet printer is in the practice for a long time for various benefits yet laser printer is a better choice today. It is a cost-effective and more productive choice. 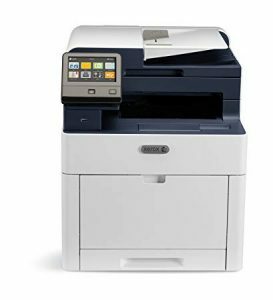 Let’s discuss the benefits of a laser printer below before discussing the top 10 laser printers. Smudged ink on the printer looks so dull and unprofessional. This is the main problem that people face with inkjet printers. There is no wet ink in the laser printer. Laser toner sticks to the paper in a laser printer to offer a good quality print out. And as a result, printed papers are always clear and smoothly readable. 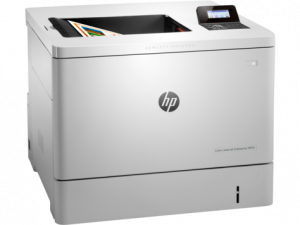 The initial investment for the laser color printer has dropped and now it is similar to the high-end inkjet printers. Replacing the cartridges seems expensive but you should understand that one laser cartridges can print over 1500 pages where an inkjet prints over 150 pages. Once the fuser gets hot, the color laser printer is ready to print with 50% faster speed. Along with the speed, the paper tray is larger and you do not need to refill the tray middle of a large print job. Save time and money are important to everyone but you should not pick the printer which is complicated to use. 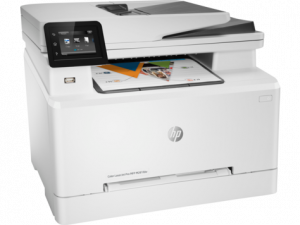 Initially, most of the printers are complicated to install and you may need to download and install the drivers for proper setup. You should always go with the one that is easy to install and best for multi-users. You should compare all the models’ page per minute capacity. Color printing and black & White printing would have different speeds. Nowadays, laser color printers use toner cartridges and these are really cost-effective in comparison with inkjet printers. For bulk printing jobs, the laser printer is always good. Replacing the cartridges may seem costly apparently but it benefits when one needs to print in bulk for the long term. If you have the regular print or scan requirements, you should go with all-in-one feature option. 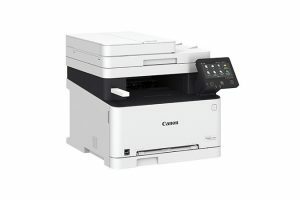 It is an excellent all-rounder with exciting features such as wired and wireless connectivity, gentle eco setting, and duplex printing—good for a wide range of work. But the multi-purpose tray is able to handle one sheet of media at a time. Here you can enjoy NFC printing regime from compatible smartphones and online shared document. The smart eco mode generally supplements the usual toner saving mode and removes images by replacing bitmaps with sketches. Basically, it is an entry-level all-in-one printer and best for the small office requirements. Its color screen has made it possible to easily install and operate it. It acts as an all-rounder for PCs and other mobile devices. It is simple and amazingly compact in design. There are numbers of buttons for the basic menu changes. For the small offices and personal usages, it is a good choice. This is an amazing option that you can get instead of little money. At this price, you cannot expect the rock-bottom running cost and it does not support constant photo printing. 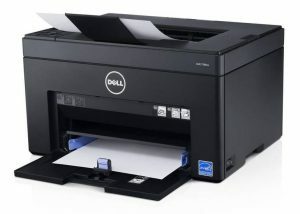 It can handle various paper sizes and amazing at printing text documents. This all-in-one the printer is a good addition for any busy workplace. This fast and quite option deserves investment. 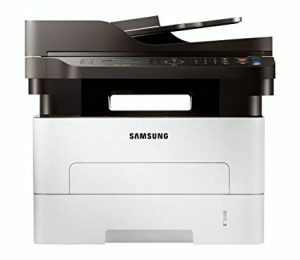 If you are in need of a good printer with the benefits of good scanning and photocopying, it is the best choice for you. Its output speed is really impressive. 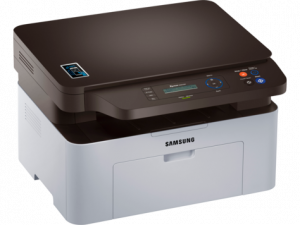 It has plenty of smart features but its output tray may annoy you if you have bulk printing requirement. This decent printer is good for small office and home requirements. It is not the fastest option but it comes with a low price tag. But for the scan and photocopy, this is a worthwhile investment. At this budget, with this printer option, you can enjoy excellent wireless capabilities along with LCS screen. This screen is very easy to use as it makes setup, programming, and troubleshooting easier than ever. And there are added paper trays for more versatility. This high-end printer is really good for growing businesses. It has amazing speed and easy to setup and use. But it requires an Ethernet connection instead of wireless connectivity. Its networking features will offer you superior security and customisation. It also allows various types of paper and boosts versatility. 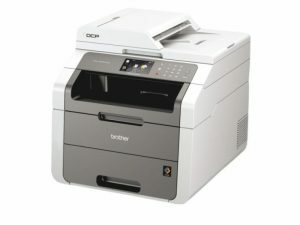 If it comes to my choice, I will vote for Brother DCP-9020CDW laser printer. With the cloud service addition, auto duplexing, and high-resolution, it is satisfying my small office requirements perfectly. This all-in-one printer is really good to easily install and operate. It is an all-rounder in nature for PCs and other smart mobile devices.